In this digital era, social media apps have significantly transformed the concept of communication, introducing new features. For instance; Facebook alone has 2.23 billion mobile users monthly, although it is hard to believe but is true! Further, it has been revealed that more than 250 to 300 million people are sharing stories on Instagram and WhatsApp every day. 70 million people were posting daily to Messenger, just six months after its launch day. Surely, these amazing figure and facts have geared up all the social media app development companies to take on Social Media App Development. 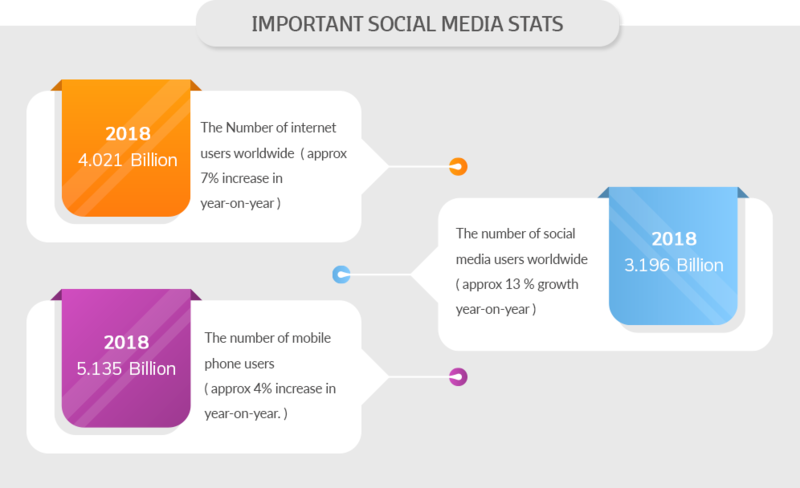 The above stats gives a perfect reason how Mobile Apps are booming the Social media to such a larger extent. Mobile apps provide an easy platform for people to create an account and get benefited from the advanced feature, whether it is about the personal benefit or business benefits. Witnessing the high usage for business over social media, the mobile app development companies are endeavoring to build separate business accounts as well. The popular social media app includes Facebook, Twitter, Instagram, Snapchat and others. In 2019, it is prognosticated that approx 2.77 billion social media users around the globe to increase from 2.46 billion in 2017. According to another survey– Number of worldwide users is assumed to reach approx 3.02 billion monthly active social media users by 2021. Further, estimation says that-750 million of these users in 2022 are suspected to be from China only and almost a third of a billion from India. Taking a look on popularity - it has been found that the region having the highest penetration rate of social networks in North America, where 70% of the population has at least one social account. Considering Past survey – As of 2017, 81% of the US population has a social networking profile. Effects of Social Media on Start-ups Or Small Business? In the earlier days, hefty money was spent to gain popularity through billboards and TV advertising. But now, the scenario has completely changed. And this changes owes to mobile apps through Social media allowing both the small business and startups to take an easy pace (similarly as the big companies). As a small business owner, no need to run here and there looking for thousands of dollar-before to reach the target audience with offers. There is no need for that again. The demand to build a strong brand has floated from traditional to social media and the time is high onboard and capitalize on this new trend. Tchibo - Invested in social media and had earned 1.3 times ROI. L’Oreal employed social media for recruitment purposes and got is 153 applicants. Cadbury’s leveraged its Facebook page and got hit with an increase of 40,000 new fans and 350,000 provoked people who participated in its campaign. Social media is expected to expand this year. Here are some of the important stats to take a look on! Private Social Messaging has emerged as one of the common trend getting popular in 2018. For Instance; WhatsApp holds 1.5 billion monthly active users while Messenger (Facebook) backs 203 million monthly active users. Hence, people who prefers social media messages more in comparison to communication and engagement. The constantly increasing popularity of the apps is largely accredited with the increasing intrest of people towards social messaging. Further, today - the social messaging apps with advanced features are gaining more populariity, hence, can be used for fast and trendy communication solutions. In this advancing tech industry - Virtual reality and Augmented Reality are considered as the futuristic technology that is enhancing the user's virtual experience. For Instance; the 360-degree by Facebook and Youtube enables users to share experience via VR Technology. Further, the 3D video chat is an additional propsect to connect anf entice app users. Well, most of the dominating social networks allows the users to buy products within the apps. For instance; Facebook, Twitter, Instagram, Pinterest and recently Snapchat - accounts as the positive network that is preffred by users while serching for online. The social media has successfully taken over the highly digital pace. Now the users can stream the live video in the real time. The trend is speeding rapidly and is further expected that live video streaming will be the crucial feature of social media apps. With the Facebook messenger expension - the number of bots is also growing every month (300000 monthly active bots in 2018). 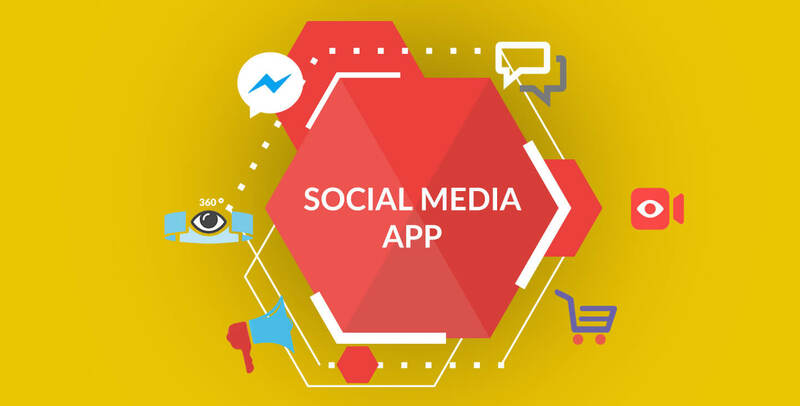 Now, going through the blog, you must have got, how important is Social media app with all necessary features - in order to generate high revenue offering numerous business benefits. Thus, get started to have a proper social media app development process and right promotional approach with us. The expert app developers are accomplished several social media app projects. We incorporate the latest technologies to make a unique social media mobile app for your business.